The typical breakfast around our house is pretty basic - toast with some peanut butter or maybe oatmeal. It's, you know, nothing noteworthy. Every now and again however there are mornings that just beg for something a little indulgent. 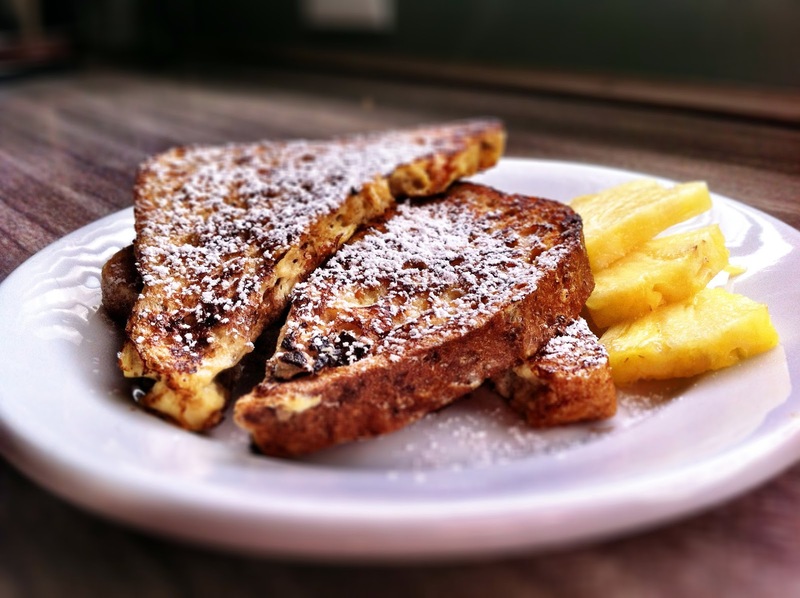 This jazzed up French toast recipe fits the bill. Heat a griddle over medium-high heat. In a large bowl whisk together the eggs, milk, amaretto, vanilla, cinnamon and salt. Add the tablespoon of butter to the hot griddle and let it melt. Working in batches, add a couple slices of the soaked bread onto the griddle. Fry until golden brown on both sides, flipping when necessary. Repeat. Serve with fruit, a dusting of powdered sugar and, of course, real maple syrup! What are your favorite recipes for a special breakfast?